Foster Hospital’s Anesthesia specialists are nationally recognized for their expertise in preventing and treating pain. 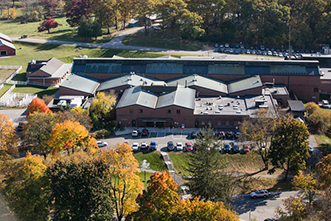 Comprised of five board-certified anesthesiologists, six specially certified anesthesia technicians, and two trained residents, the Foster Hospital team provides gentle handling, expert monitoring, and superlative pain and anxiety control to ensure the anesthesia administration and recovery is as smooth as possible. Foster Hospital’s specialists are experienced in developing anesthesia plans for species of all kinds, from exotic pets to wildlife, companion animals, large domesticated animals and zoo animals. From the initial evaluation to optimal management throughout the procedure and recovery, we recognize the nuances related to administering anesthesia and the protocols that are most appropriate and should be followed. Age, breed, health and personality are all factors that we consider when we create each patient’s individualized treatment plan. 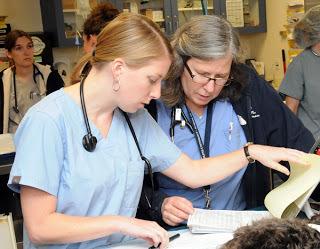 For example, when planning anesthesia administration for a brachycephalic dog, treating her with medication that reduces reflux, avoiding anesthetic agents that depress respiration, and pretreating with oxygen are just a few of the steps the anesthesia team takes to ensure a successful outcome. Whether it’s surgery to remove a brain tumor, a complicated thoracic surgery, or sedation during a routine procedure, advanced technologies, such as Vgel for the airway, Wound Soaker catheter, and one-lung ventilation are employed to ensure patients have access to the best equipment and techniques available, and minimizing side effects. Our state-of-the-art equipment, the same used for humans during anesthesia, measures heart and lung function, administers intravenous fluids and ensures our patients maintain normal body temperature. We also provide expert and comprehensive pain management services all aimed to improve the comfort of companion animals. This includes treatment options that combine traditional and non-conventional analgesic drug regimens, palliative interventions, and complementary techniques, including acupuncture and trigger point dry needling therapies. We work collaboratively with and as an adjunct to the critical care and emergency service and the surgery team on all cases requiring anesthesia. In addition, we are here to support community DVM’s on cases in which you may find yourself involved. Whether you feel there is a specific procedure you want expertise advice on, or have specific questions, we are here to support you. In either case, please contact us at 508-839-5395 and ask to speak with a general anesthesia faculty member. Be sure to let them know if your question is urgent and can’t wait or if it is general in nature and one of our team members will get back to you promptly.